U.S. oil prices settled below the $50 a barrel benchmark on Tuesday after paring deeper losses while traders awaited governmental data to confirm a further decline in crude supplies, according to Bloomberg MarketWatch. On the New York Mercantile Exchange, July West Texas Intermediate crude fell 14 cents, or 0.3%, to settle at $49.66 a barrel. On the London ICE Futures Exchange, July Brent crude, the global benchmark, gave up 45 cents, or 0.9%, to end trading at $51.84 a barrel. 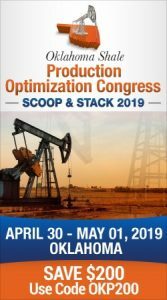 The American Petroleum Institute will issue its weekly U.S. petroleum supply update late Wednesday—a day later than usual due to the Memorial Day holiday. The Energy Information Administration’s report will be issued Thursday morning. 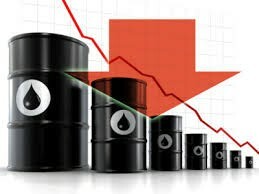 Analysts at Price Futures Group forecast a decline of 3.5 million barrels in domestic crude supplies for the week ending May 26. Meanwhile, July natural gas ended at $3.145 per million British thermal units, down 16.5 cents or 5%, on the New York Mercantile Exchange.